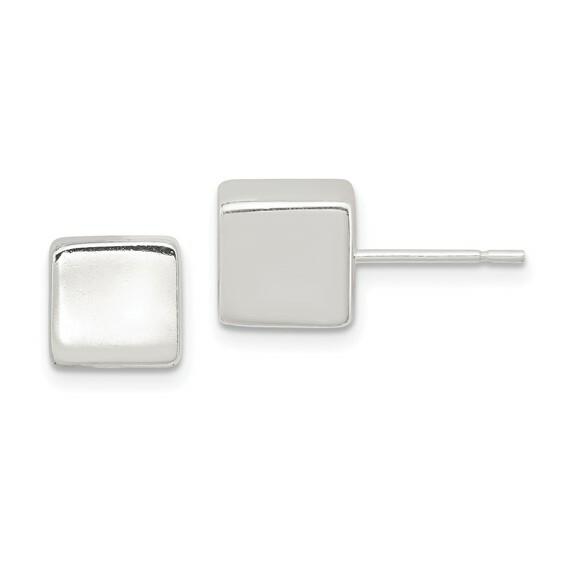 Polished, sterling silver 8mm square earrings. Weight: 3.4 grams. Imported.